This is good news for Prime members, Amazon approves an extra 1 month of Prime membership if they will miss any late order delivery. So if Amazon is late with shipping a package, you can easily request a one-month extension to your Amazon Prime membership. This Prime extension can even reach up to twelve times a year. So take note of the orders that you have because for every item that is late, it can add up and even end up to twelve months of free Amazon Prime Membership. This policy is truly encouraging to shop for more of their deals and sales especially if you can still add a coupon for those items online. I have been enjoying my Amazon Prime membership buying things on the internet. But recently, I experienced a late shipment, so I sent an email to their customer service since they have a guaranteed deadline for their deliveries. I hope that you can help me with my order, #____________, that was scheduled for delivery on the 23rd of September but has not arrived yet. I had read on your website that you will offer a one month extension of Prime membership if any package will not be received on the expected delivery date. I would like to avail of this and wish for an approval of a one month extension for this order not arriving on time. I'm sorry to hear your item didn't arrive by the guaranteed delivery date. In my experience, late packages arrive not long after the date listed. Please wait a little longer, until September 25, 2014, before requesting a refund. Otherwise, you might have to return a package. To help make up for the inconvenience, I've extended your Amazon Prime membership by one month. The membership will now renew on January 7, 2015. When your order does arrive, there's no need to contact us. However, if you haven't received it by September 25, 2014, please let us know through the link below and we'll be happy to assist you further. In addition to our large selection, one of the benefits we try very hard to offer our customers is inconvenience. I'm very sorry for the inconvenience you experienced in this case. The one month extension is honored by Amazon however inexpensive your purchase will be. That's how serious their delivery service to the millions of customers that they are serving. I was impressed with their customer support service when it comes to the promised delivery date. You can also call the customer support service through their website or in the form of chat to inform of the late delivery. In summary, those customers who are not Prime subscribers, they can opt to have their shipping fees reimbursed for any late delivery with a guaranteed order. Even if they have a free Amazon Prime trial, they could still enjoy and receive the extension. And for those Prime customers who are paying the yearly membership fee, they can even get up to twelve months of free subscription if late deliveries reach up to 12 times. 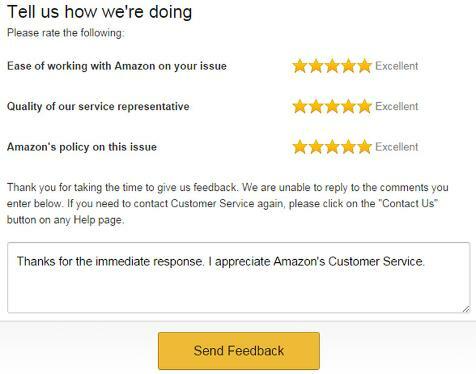 Amazon truly has a good customer service and in turn, I had to send them a positive feedback. So just keep on tracking your orders online because it's easy to request a free one month extension to your Prime membership subscription if Amazon is late with any of their deliveries. 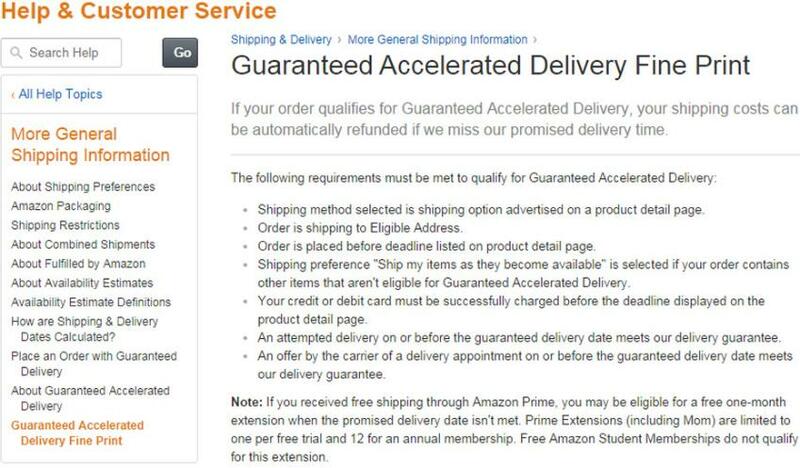 Amazon is indeed committed to offer their Guaranteed Delivery Dates once the package will not be delivered on the day that it is expected to arrive. You can read the Amazon Prime Extension Policy below.